Jaguar will celebrate its exciting future and rich, 80-year heritage at the 2015 Frankfurt IAA, with a dramatic reveal of the all-new Jaguar F-PACE. 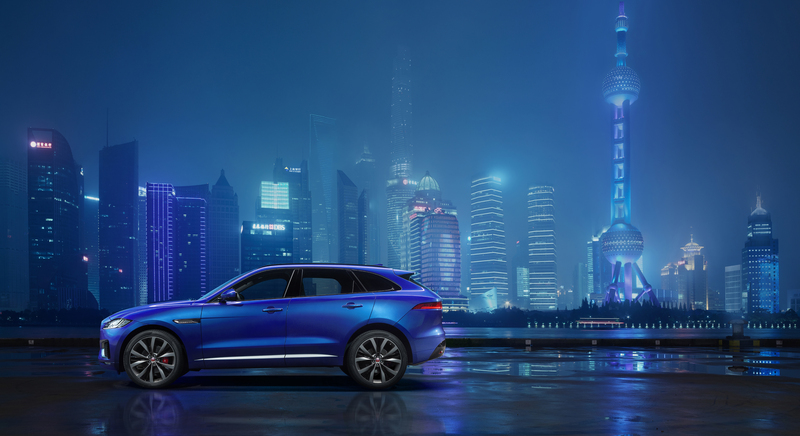 The Jaguar F-PACE will be the first ever compact luxury SUV from the famous British luxury and sports car brand. The stunning new F-PACE, which will be available to view on the Jaguar stand throughout the show (September 17 – 27), is previewed today with the release of an exclusive image and film. Camouflaged prototypes have already been seen proving the everyday usability and exceptional ride and handling of the all-new F-PACE, by supporting Team Sky on the Tour de France, enduring more than a quarter of a million miles of extreme testing at JLR test centers Dubai and Northern Sweden, and tackling some of the most challenging roads in world. This is a compact luxury SUV designed for those who love driving. The world-first reveal moment planned for F-PACE will showcase the agility and lightweight credentials of this all-new model. A film capturing all the action will be available on www.JaguarUSA.com on September 14 at 2:15 PM EST. Social media users tracking the event live will see updates online using the hashtag #FPACE. The all-new Jaguar F-PACE will be joined on the Frankfurt show stand by a trio of new Jaguar products – the enhanced 2016 Jaguar XJ and the all-new XF, which will both be available in the U.S. beginning Fall 2015, along with the award-winning new Jaguar XE, available Spring 2016. The 2016 Jaguar F-TYPE range, which now includes All-Wheel Drive and manual transmission options in Coupe and Convertible body styles, will also star at the show. Full details of the all-new Jaguar F-PACE, including technical data and pricing will be confirmed on press day at the Frankfurt IAA – September 15 at 4:30 A.M. EDT. The all-new Jaguar F-PACE will go on sale in the U.S. beginning Spring 2016.